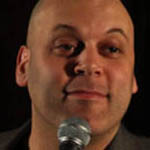 Amer Zahr is an Arab-American comedian, speaker, writer, academic, and adjunct professor at the University of Detroit Mercy School of Law. He draws on his experiences growing up as a child of Palestinian immigrant parents, performing and lecturing on topics like politics, society, Islam, growing up Arab, and more. He is also the author of the well-read blog “The Civil Arab” as well as his first book, Being Palestinian Makes Me Smile, a collection of his writings relating to being Palestinian. He has performed throughout North America and the Middle East. 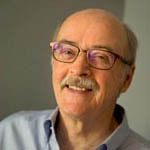 Steve Early is an author and a journalist who has also been an organizer, lawyer, union representative, and labor activist for the past forty-five years. He has written extensively on topics surrounding labor, including his collections of essays Save Our Unions: Dispatches from a Movement in Distress. His latest is entitled Refinery Town: Big Oil, Big Money, and the Remaking of An American City. elevating America today; not Trump’s disgusting fascism. I have read and listened to Ralph Nader starting as a kid in the 60’s and I have always held his work and thinking in high regard and had total respect for his point of view. That is until it comes to his opinions on the Middle East. This show, and others where Nader discussed Israel and Palestine in the most backwardly slanted and distorted terms nauseated me. I’m just thankful that the subject doesn’t come up often, and that most other do not want to listen to such a total departure of logic and humanism that permeates all Nader’s other works. This is the absolute worst edition of the Ralph Nader Radio Hour I have listened to or could imagine. The idea that the Arabs do not have enough land in the Middle East and that is the source of all the problems there is hyperbolically absurd. Islam, the closer you get to it’s “administrative and power” centers, i.e. Saudi Arabia and Iran become more international, more radical and more expansionist. To think that Palestine is not deeply and closely connected to this effort in every way is a serious lack of judgement. From the quotation above about a “baby-dropping” country with one of the world’s highest population growth rates while making claims of genocide, and then brainwashing your children with the most vilest of media and hatred is nothing short of an inhuman toxic cancer and for Nader to reverse this and put it all on Israel is completely incomprehensible. A truly awful show … and disgusting and bad as almost all the other shows are good and positive. I just had to say it.